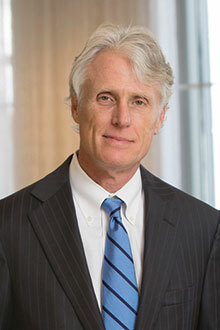 John L. Latham (79L), an Atlanta-based securities litigation lawyer, has been elected to the Emory University Board of Trustees. Latham joins the Board of Trustees as a term trustee, according to Vice President and Secretary of the University Allison Dykes. He will serve a six-year term, after which he may serve renewable terms of four years. The Board of Trustees is the highest governance body of the University, “establishing policy and exercising fiduciary responsibility for the long-term well-being of the institution,” according to its website. A trial lawyer and partner at Alston & Bird, Latham has served as a chair of the company’s Diversity Committee since 2001. The committee focuses on diversity recruitment, retention, mentorship and communication, according to its website. Latham’s, who has leadership experience in diversity programs, joins University governance at a time when the Class and Labor Report Committee 2 found low levels of faculty diversity and low faculty retention rates at Emory. In 2012, Latham and his wife Sheri Latham, an instructor in the Emory Dance Program, donated $300,000 to establish the need-based Latham Law Scholarship Fund at the Emory School of Law. Last year, Emory School of Law presented Latham with the Distinguished Alumni Award, which is bestowed upon individuals who demonstrate “extraordinary achievement in the legal profession and in service to society,” according to a May 2017 Emory Law press release. Latham has been named as one of “The Best Lawyers in America” since 2006 in areas such as corporate law, commercial litigation and litigation-securities. He was appointed special assistant attorney general for the State of Georgia Teachers and Employees Retirement Fund and Office of Treasury and Fiscal Services, according to a March 8 University press release. Latham also chairs the Georgia Corporate Code Revision Subcommittee on Officer and Director Liability and Indemnification. Latham received his bachelor’s degree from the University of Toledo (Ohio). As an Emory Law School student, he was research editor of the Emory Law Journal.